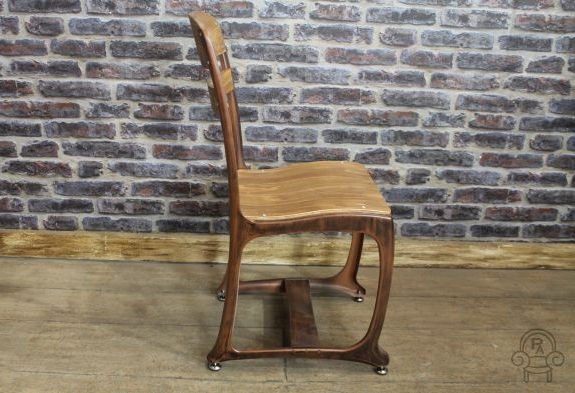 Please note this listing is for one wooden stool only. 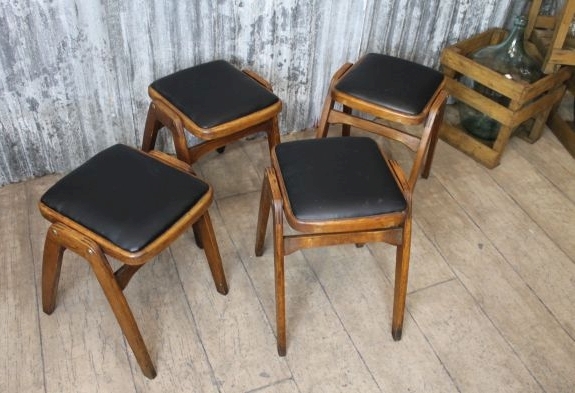 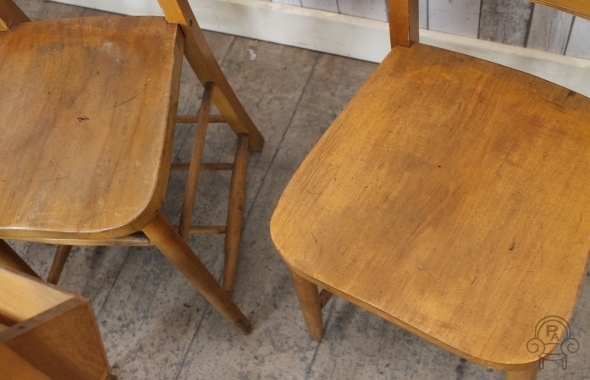 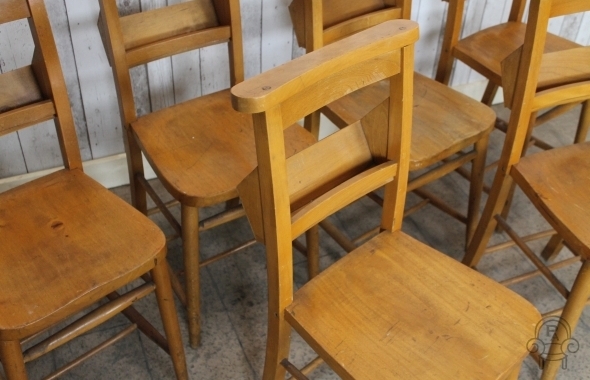 This is a fantastic opportunity to purchase some classic 1960s vintage wooden stools. 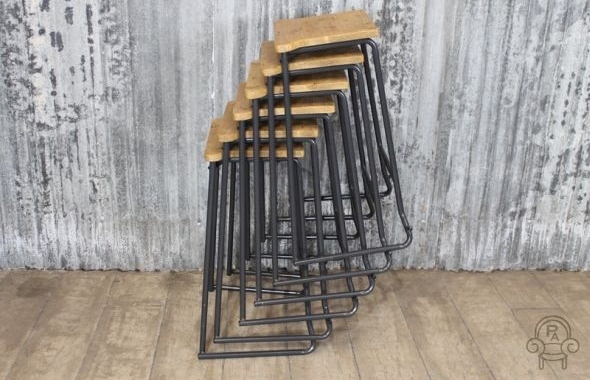 These stools would look great in a cafe, bar or restaurant and conveniently stack to save space. 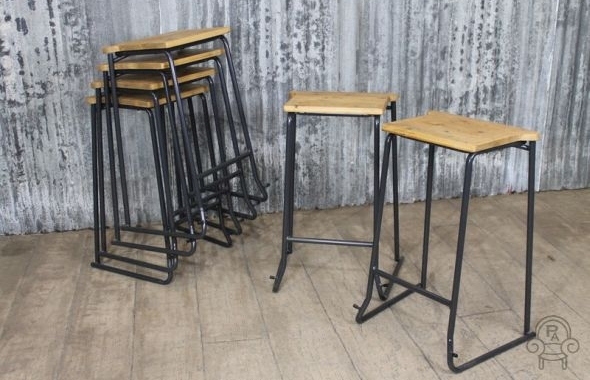 The stools are in a good condition, although they do show some signs of wear and tear, which only adds to their character and charm. 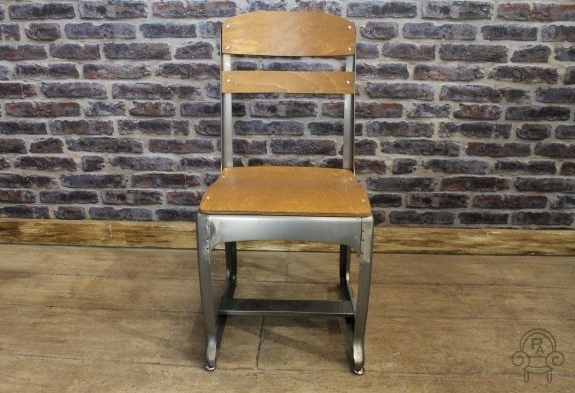 Please note that this listing is for one of our industrial metal chairs only, but we do have more available. 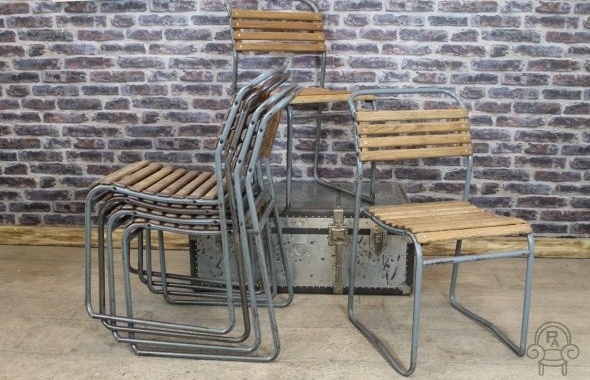 An excellent opportunity to purchase these vintage stacking chairs, which are lovely pieces of classic and vintage industrial furniture. 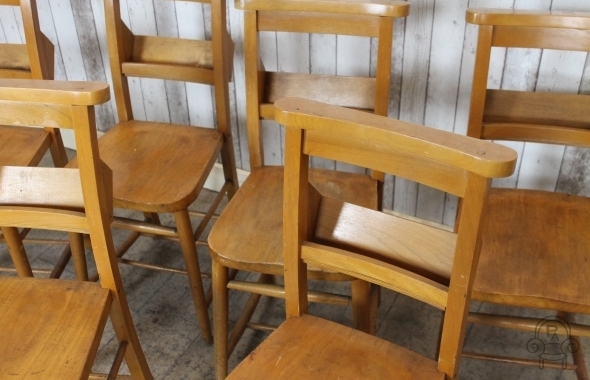 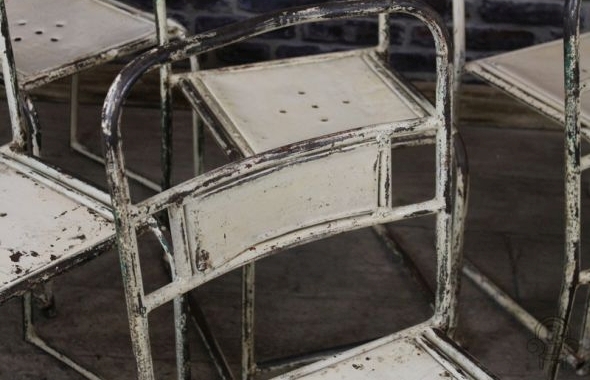 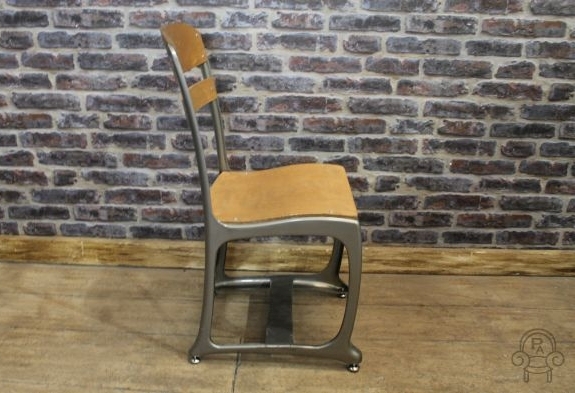 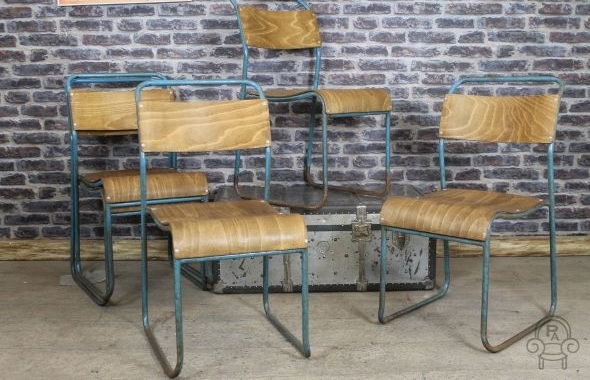 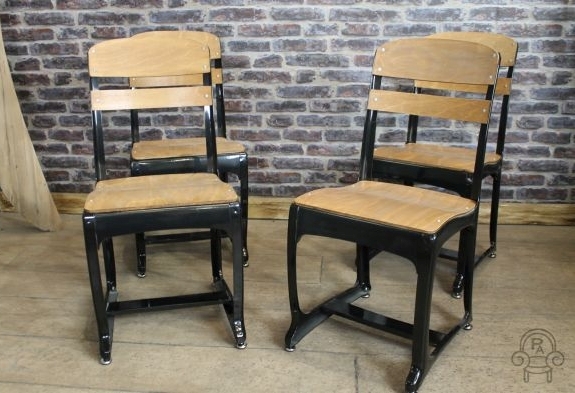 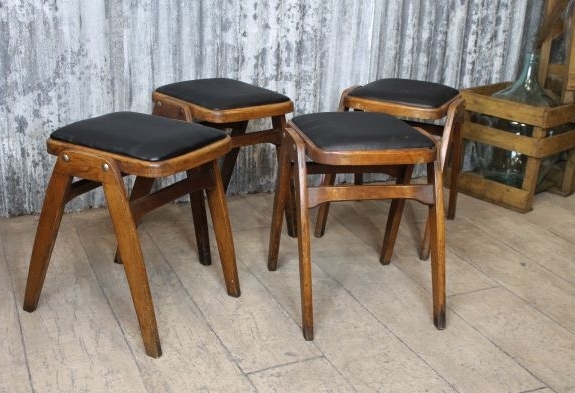 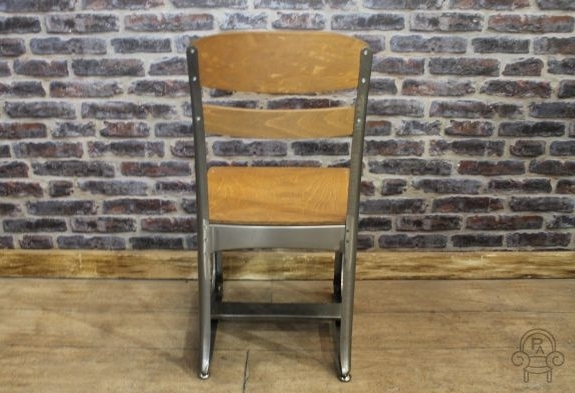 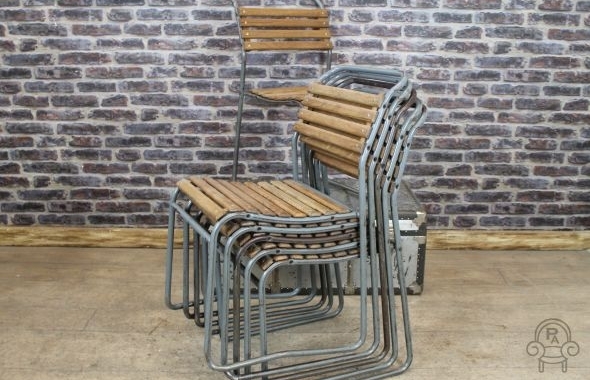 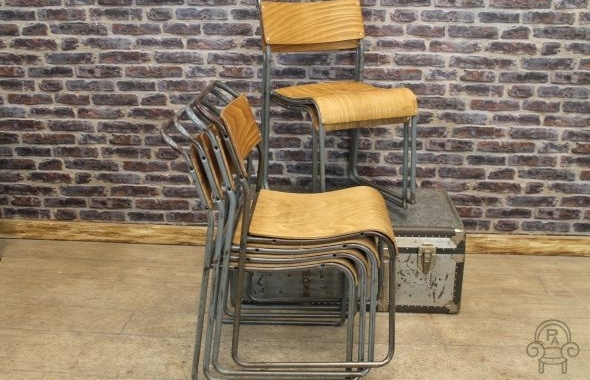 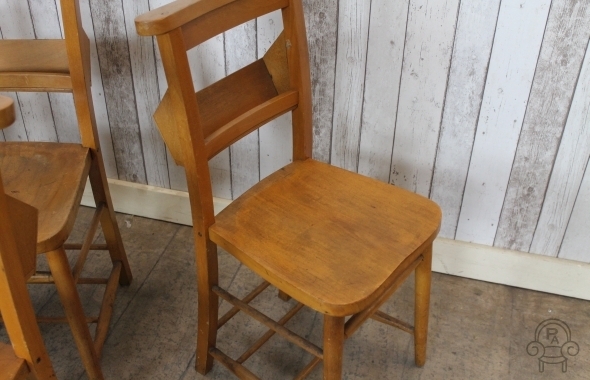 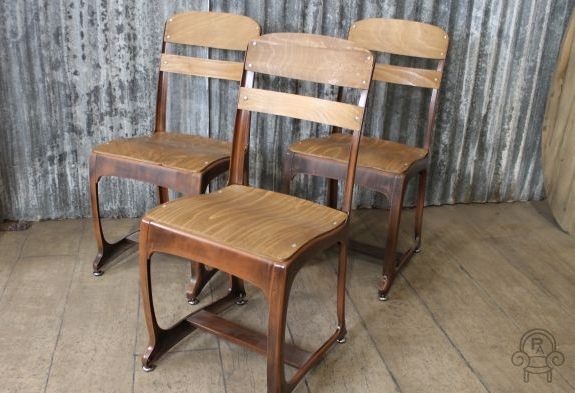 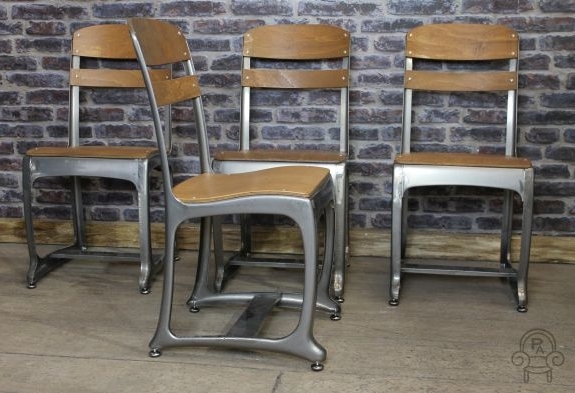 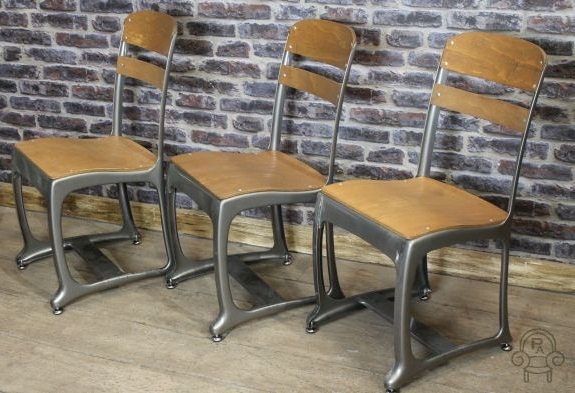 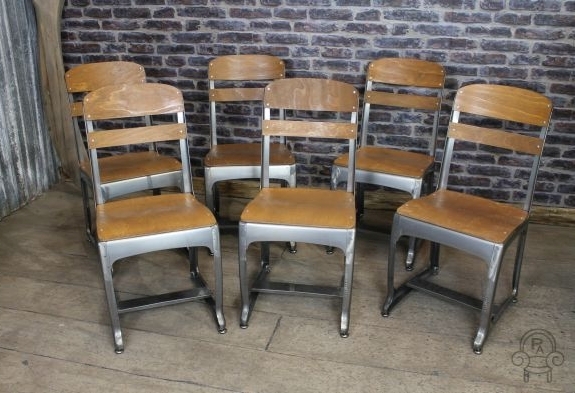 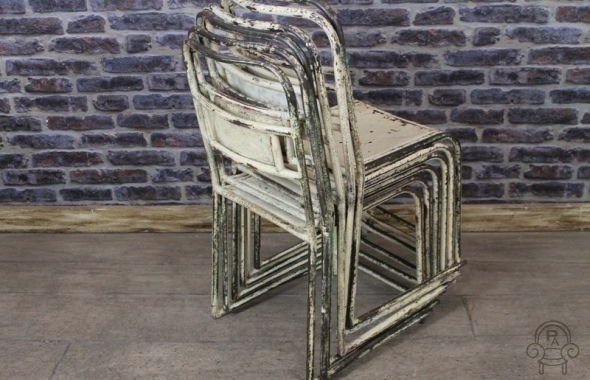 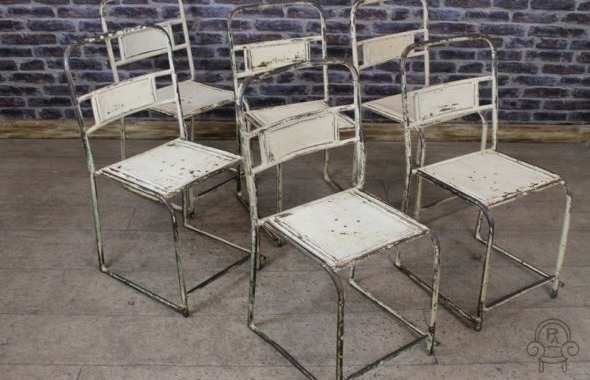 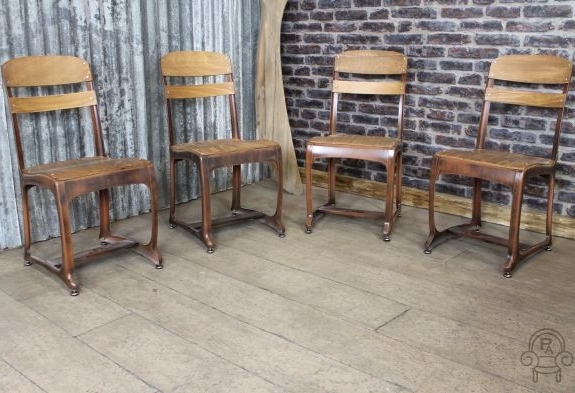 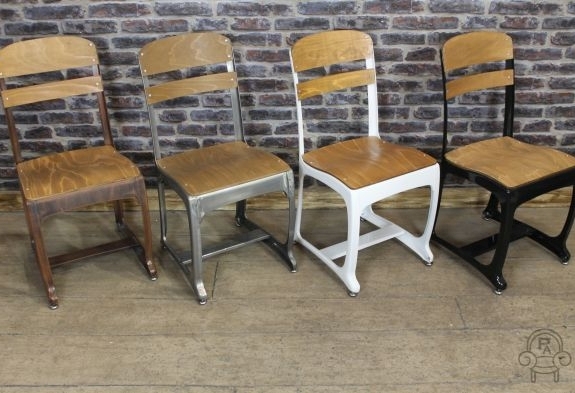 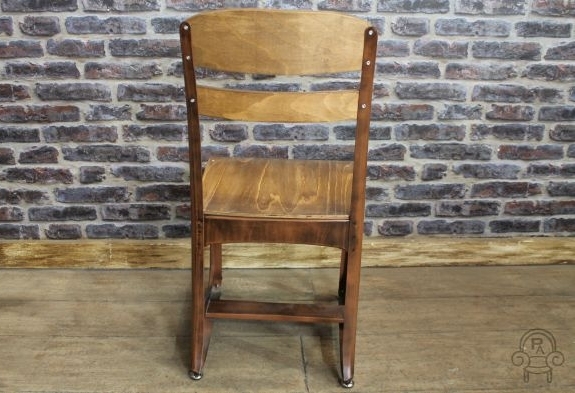 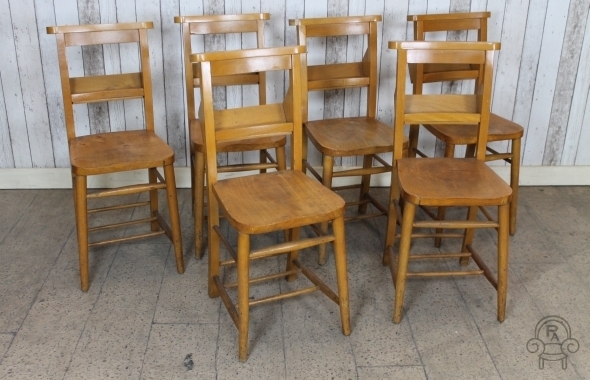 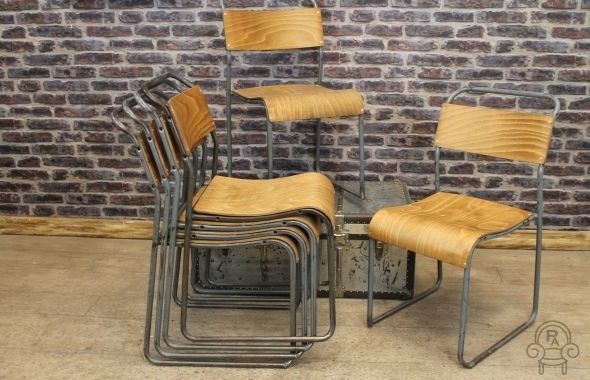 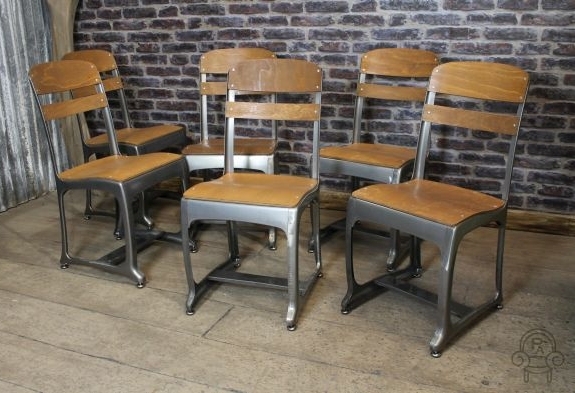 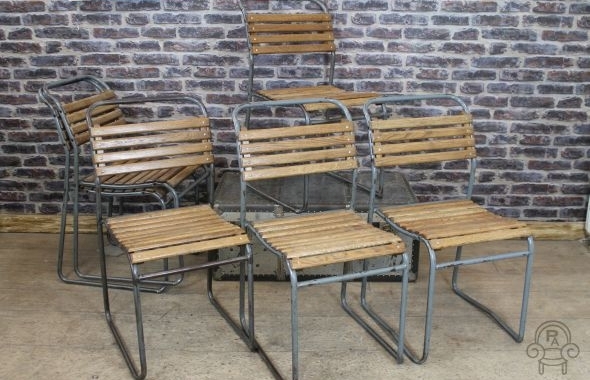 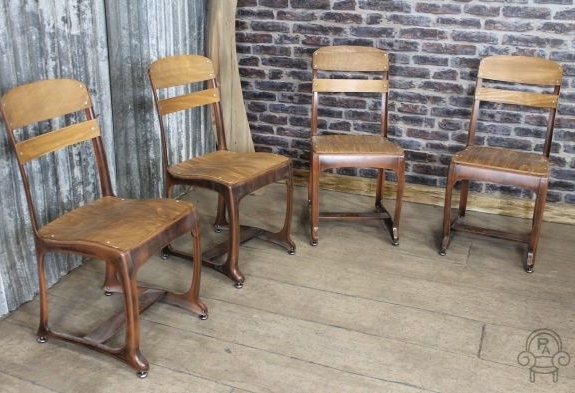 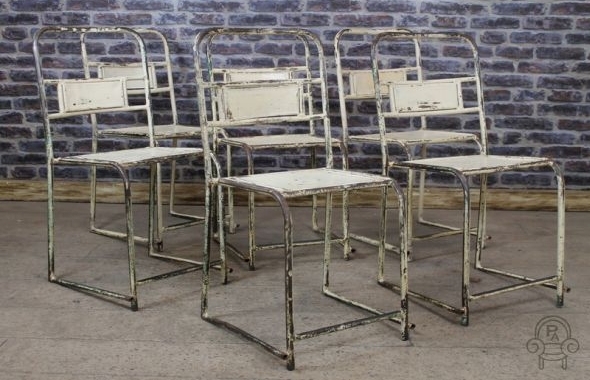 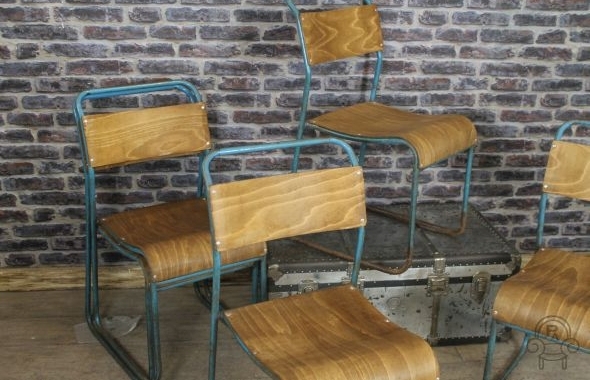 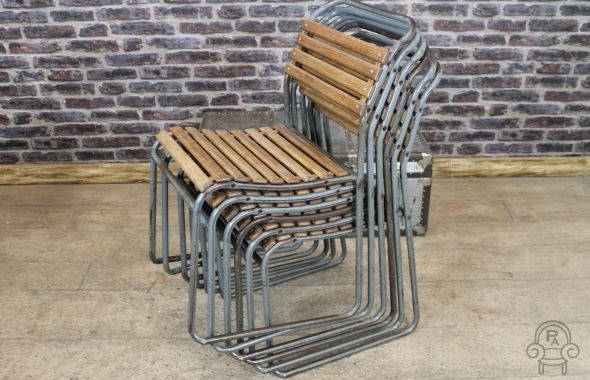 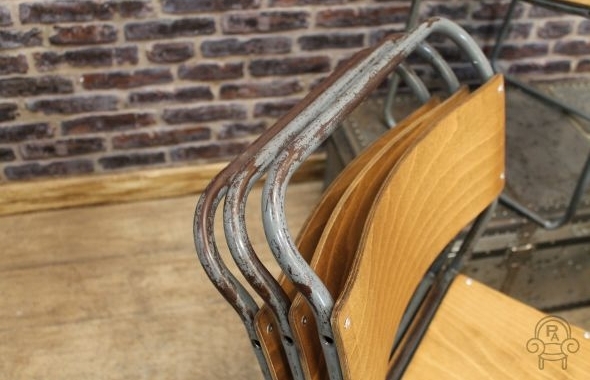 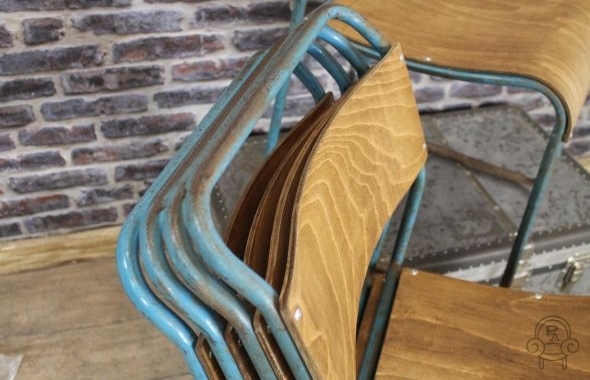 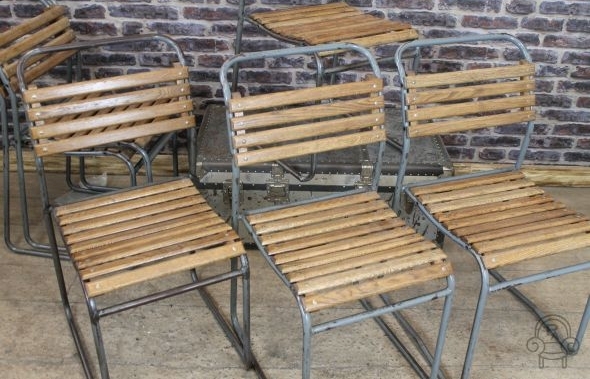 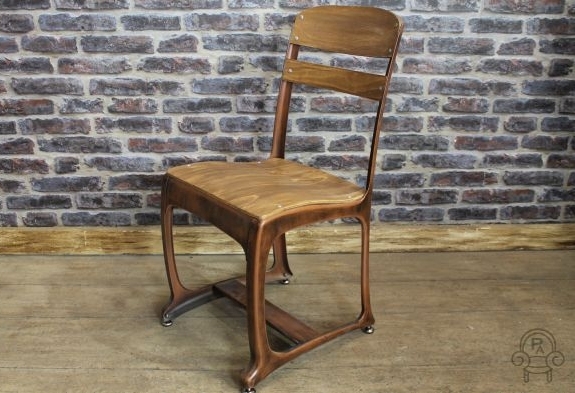 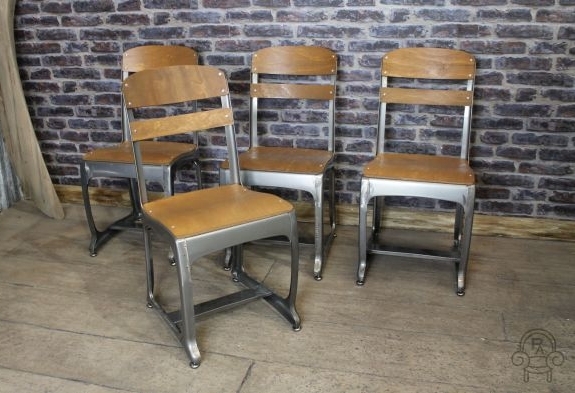 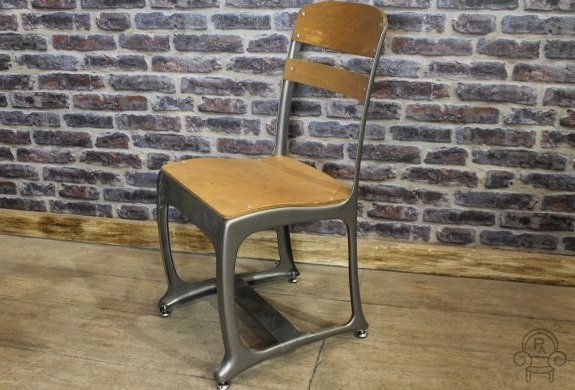 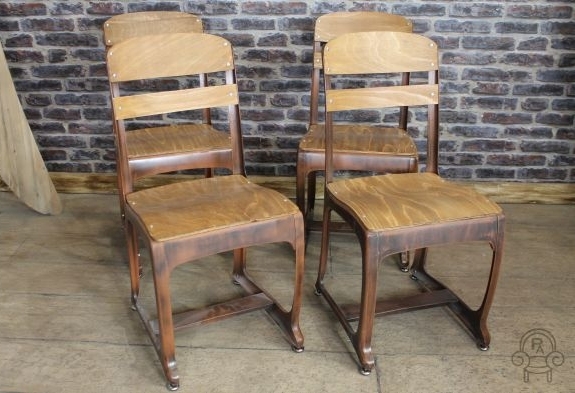 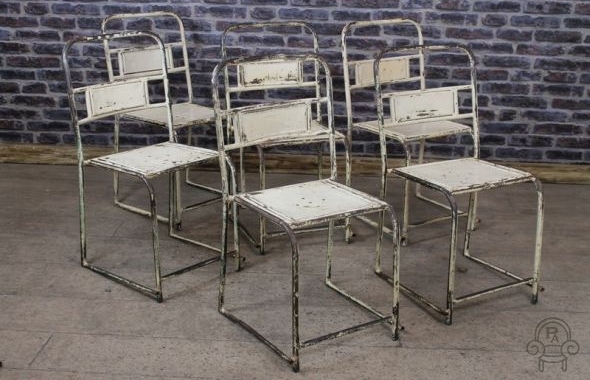 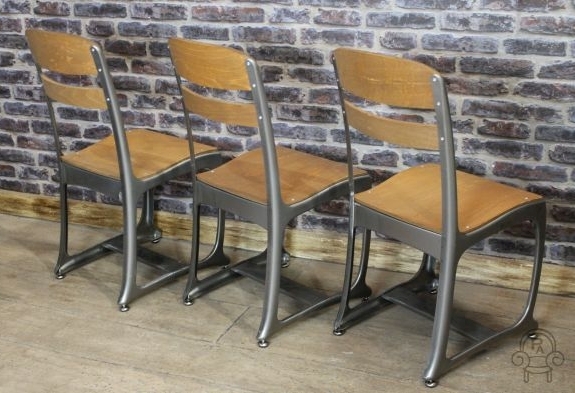 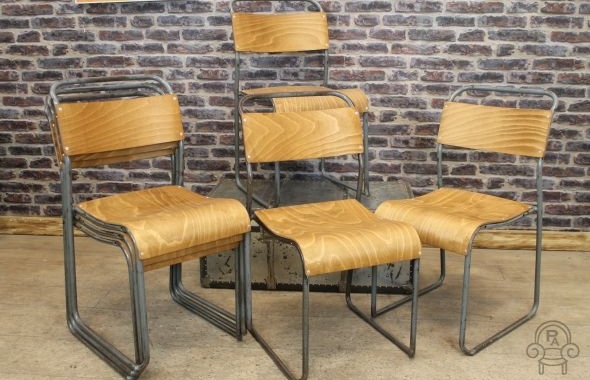 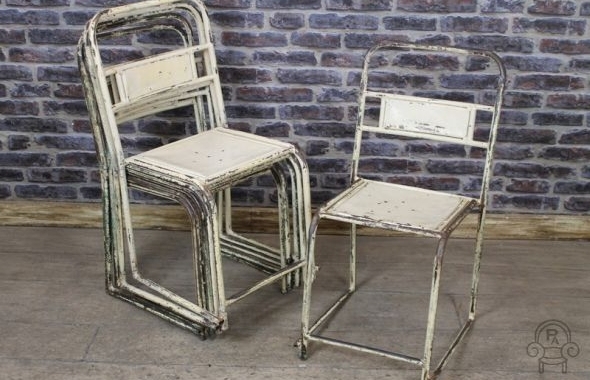 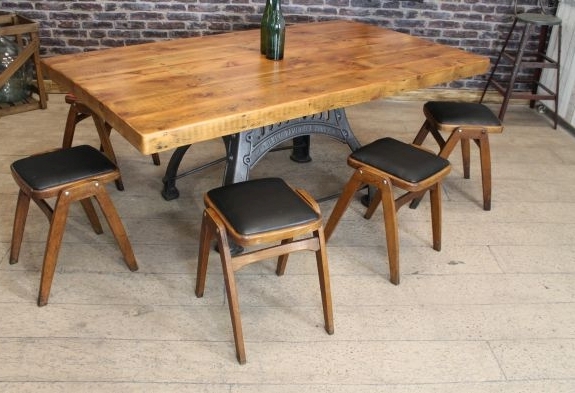 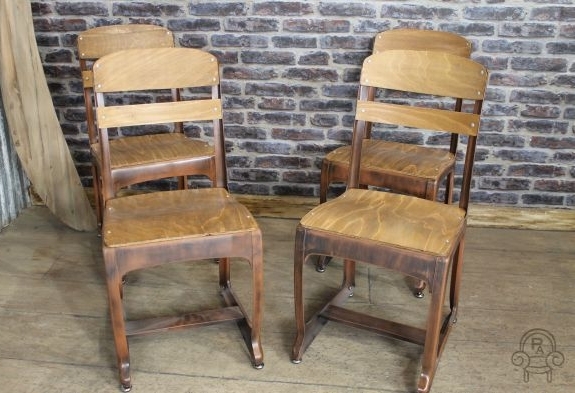 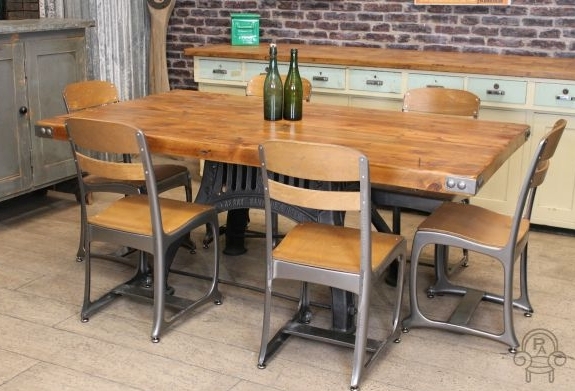 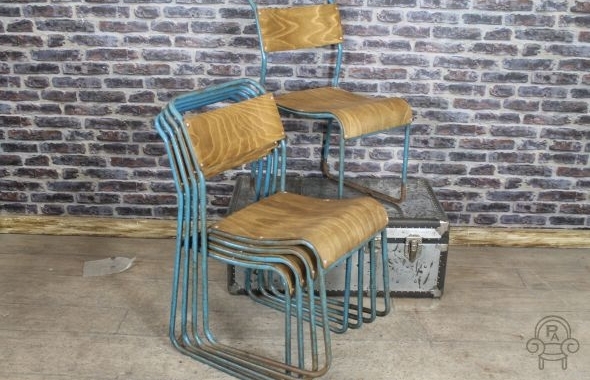 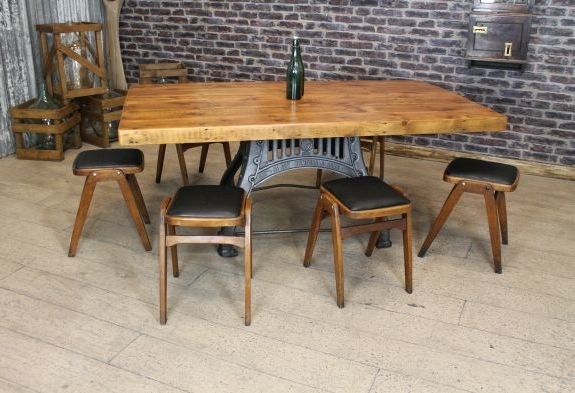 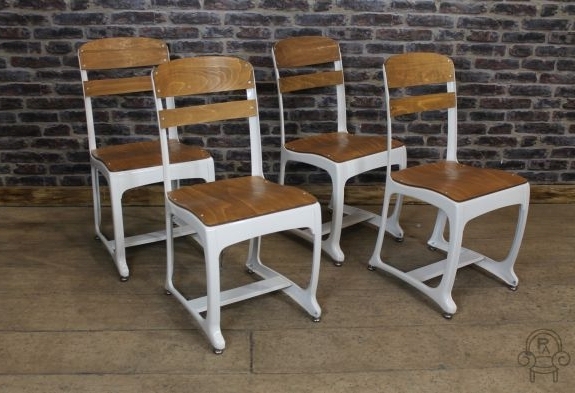 These superb and very sturdy original industrial metal chairs are fitted with curved plywood seats and back supports. 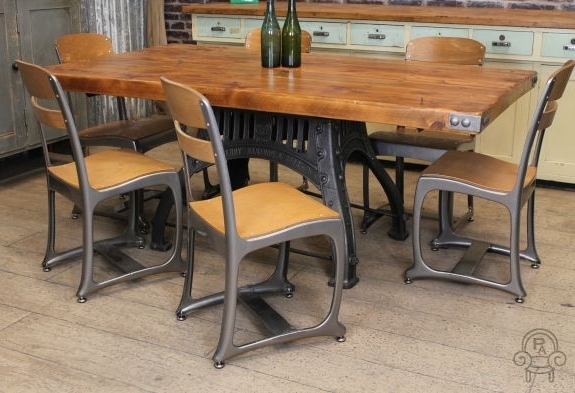 The steel chairs would look great in any contemporary kitchen or dining room, and they conveniently stack. 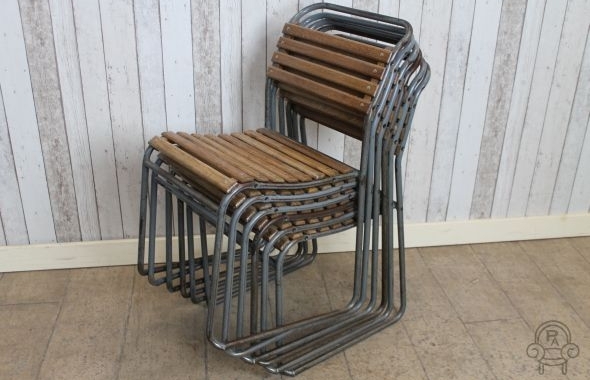 The chairs are all in a good condition, with no breaks to the steel. 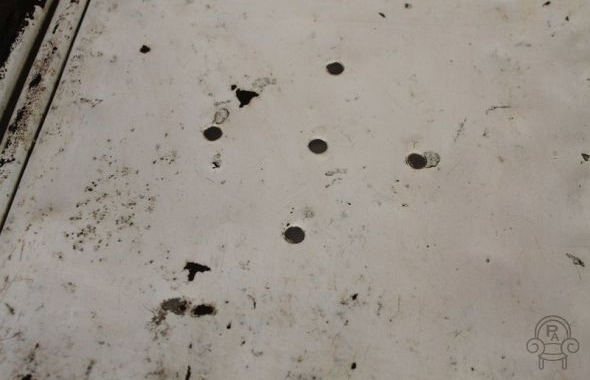 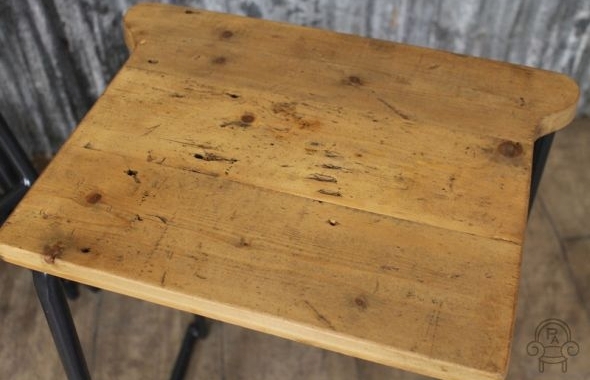 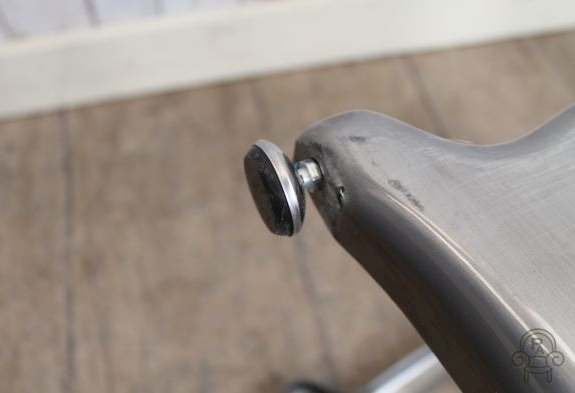 The items may show signs of wear and tear and marks to the paintwork due to being used on a daily basis, we believe this only adds to the character. 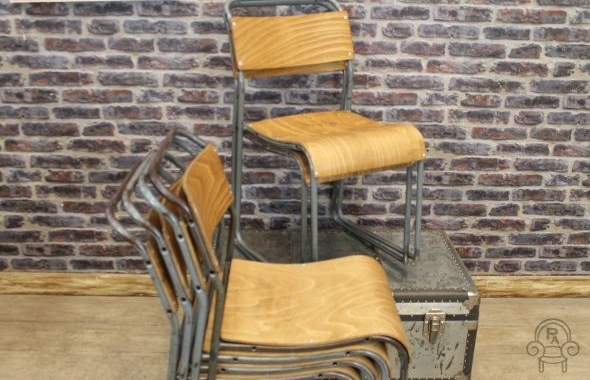 Please note, other items photographed are not included in the listing but can be purchased separately. 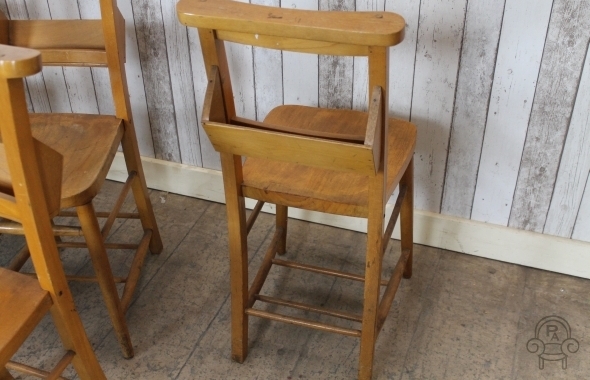 Please note that this listing is for one lab stool, but we do have more in stock. 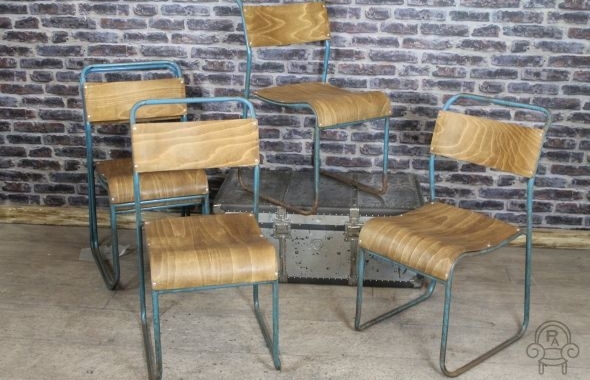 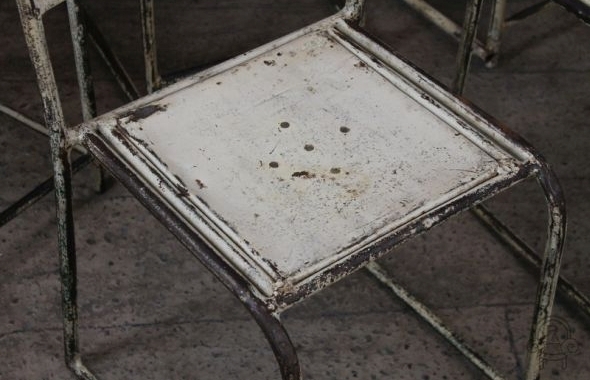 This is an excellent opportunity to buy some circa 1960s vintage industrial lab stools. 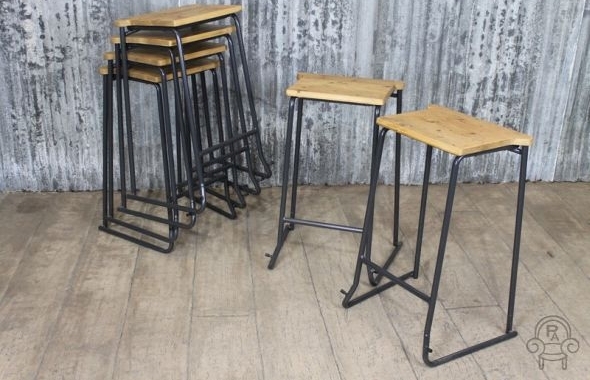 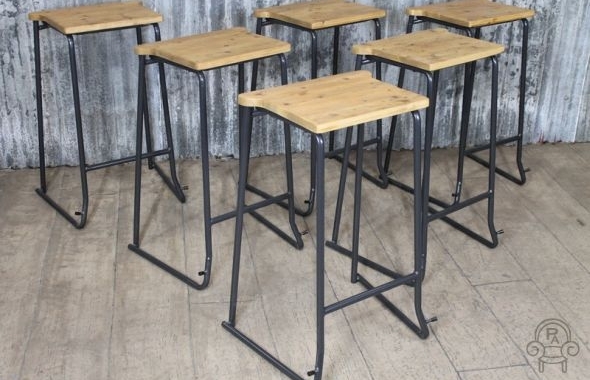 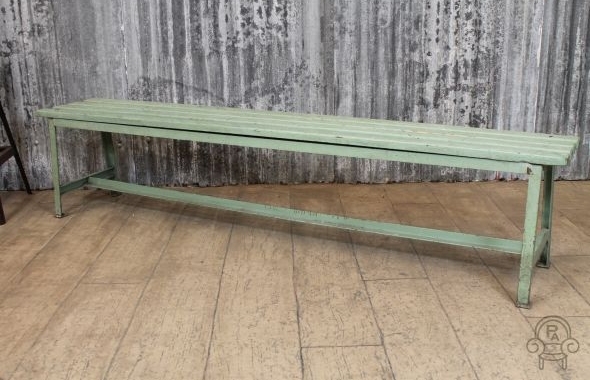 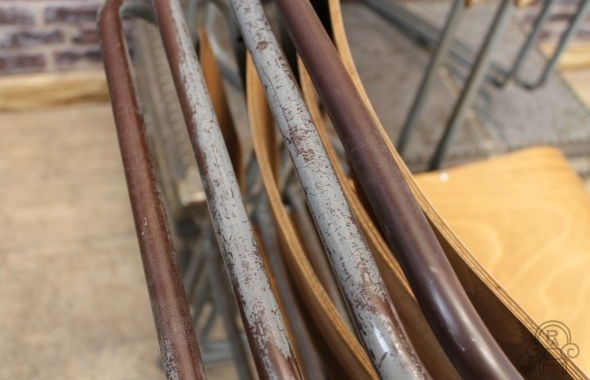 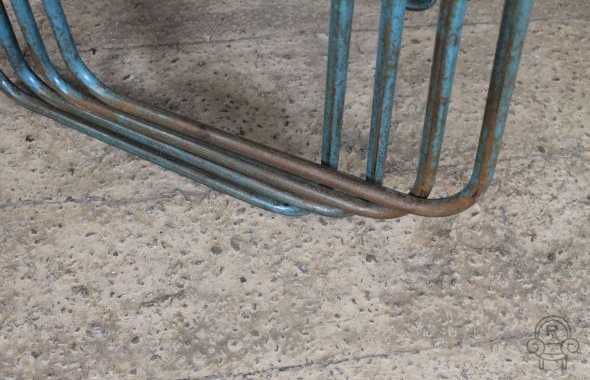 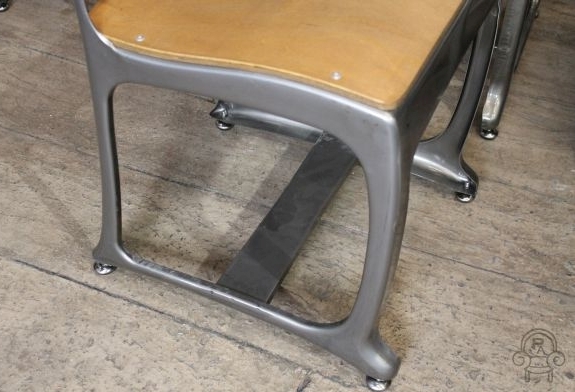 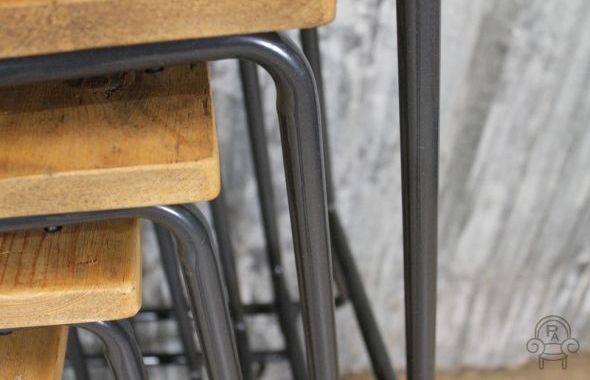 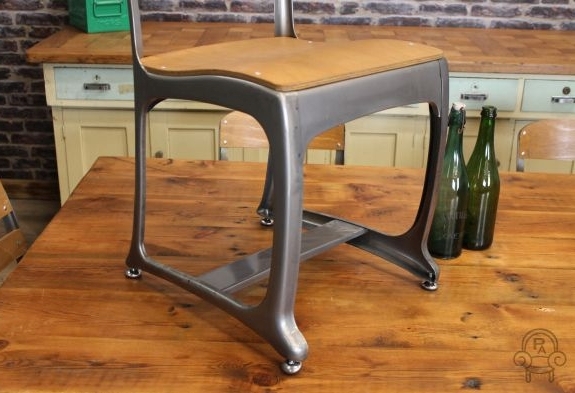 These great quality timber and steel stacking stools feature a semi-metallic steel grey coloured paint, and are all in a good condition for their age. 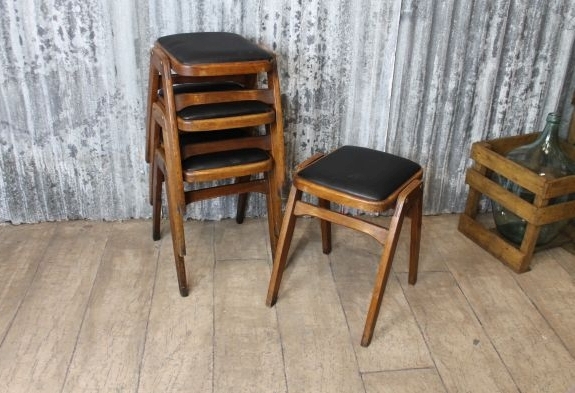 These stools would be ideal for any bar, restaurant or kitchen setting.